I attended Paxton150, a conference to mark the 150th anniversary of the death of Sir Joseph Paxton, last week. Organised by the Department of Landscape at Sheffield University, this meeting both looked back at the history of public parks, and the influence of Paxton and his followers on their development, and also examined their future, and some current issues in policy around maintaining and developing parks today. Although landscape design and parks policy is some way from my academic comfort zone, I attended the meeting as a result of my long-standing interest in Victorian parks, gardens and horticulture, and particularly in their information and publishing dimensions. 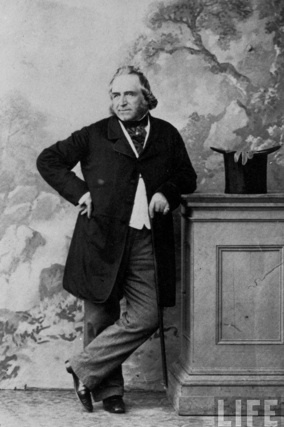 Sir Joseph Paxton was one of those indefatigable Victorians who engaged in a very diverse range of activities, and made a success of them; the antithesis of ‘find a niche and stick to it’. Paxton was exceptional, even in this company, and gained the epithet of ‘the busiest man in England’. 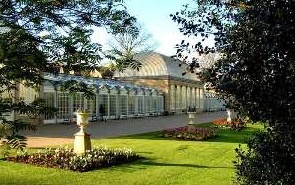 Horticulturalist, gardener, engineer, designer of many public parks and private gardens, architect, promoter of railways and docks, Member of Parliament, he is perhaps best known for his design of the Crystal Palace, first built in Hyde Park for the Great Exhibition of 1851, and later moved to Sydenham. He was also, particularly interestingly from my perspective, heavily involved in communication: a prolific author, editor, and newspaper proprietor. The presentations at the conference covered all these aspects: Paxton’s life, his works in Britain, his influence internationally, including in France, Holland, Germany, Hungary, and the USA, and the present situation and future prospects of the kind of public parks which he designed. As an outsider to the last of these topics, I was most forcibly struck by the lack of logic or respect for evidence, even by the standards of politics, in the way the UK government treats parks and open spaces. There is abundant evidence of the benefits to physical and metal health, general well-being, community cohesion, education, and other desirable outcomes from having access to green space. But this evidence is systematically ignored, in a desire for short-term, and often illusory, economic gains. A bit like the treatment of public libraries, really. Interestingly, the analogy between parks and libraries as under-rated assets was made by more than one speaker. My own presentation dealt with Paxton and his followers as communicators and information disseminators. 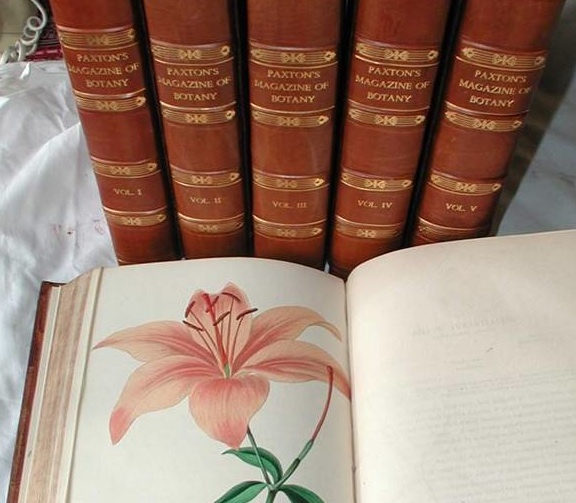 Paxton himself was author of a monograph on the dahlia, compiler of a botanical dictionary, writer of numerous journal articles, reports, and polemic pamphlets, proprietor and editor of several horticultural magazines, and proprietor of a daily newspaper. He also encouraged his apprentices and protégés to do likewise, and Edward Kemp. John Gibson, and Edward Milner were also very active disseminators of horticultural knowledge. I argued that we can see these people as active participants in the nineteenth century communications revolution, and as contributors to our modern ‘abstract’ information society, with formalised and recorded information becoming more significant than traditional practices and ‘rules of thumb’. 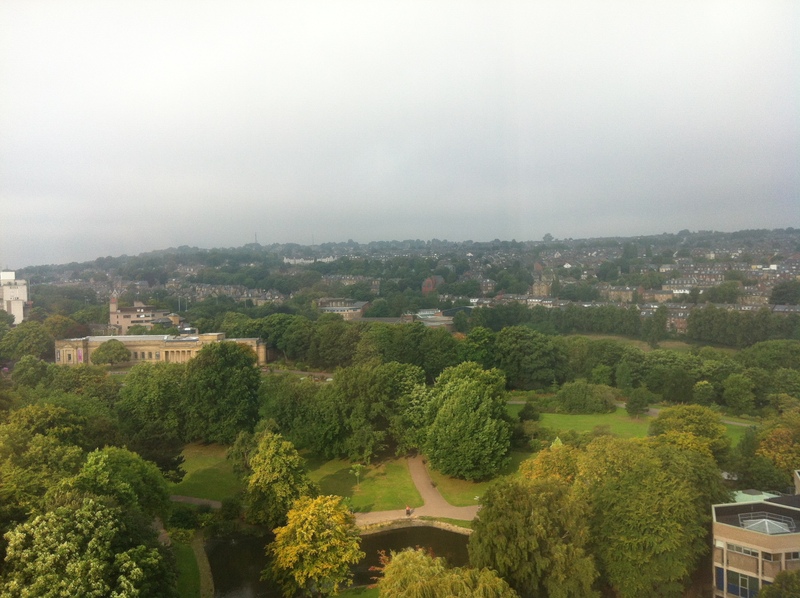 As well as the presentations, the conference featured a walking tour of some of Sheffield’s fine Victorian parks and gardens, designed by Paxton’s contemporary, Robert Marnock. The Sheffield Botanical Gardens, laid out by Marnock, are considered among the finest examples of mid-Victorian park landscapes. There was also a dramatic presentation of aspects of Paxton’s life, produced by an organisation seeking to rebuild the Crystal Palace, and a dinner featuring a beer brewed in honour of Sir Joseph. The programme for the conference is online, and the organisers are planning to produce a book based on the presentations. All in all it was a great success, and the organisers – Jan Woudstra and Camilla Allen – should feel very pleased with their efforts. A particular pleasure for me was finally meeting an author whose writings I have followed over many years, Dr Brent Elliott, for many years librarian of the Royal Horticultural Society, and now their historian. Although my main academic interests are quite a bit removed from the themes of the conference, I found a, perhaps surprising, amount of common ground, and was encouraged by the interest from other participants in the information communication aspects of horticulture and landscape, past and present. This is an area largely ignored by the information sciences, and offers a lot of possibility for the future. I’ve been introduced to your blog just by a coincidence: My surname is Bawden and I was tracking some cornish ancestors in the web, with all kinds of documentary information retrieval difficulties involved. In fact, just through internet references I noticed that there is a Thomas Bawden gravestone in St. Day Cathedral Cemetery that fits into my brazilian family migration record. Anyhow, receive my compliments on your serious and important digital literacy work; all cornish “online parish clerks” should take advantage of it on their birthtables; the same apply to the transcribers of old cornish newspapers and ship passengerlists. Thank you, and nice to hear from you. Glad you enjoy the blog.